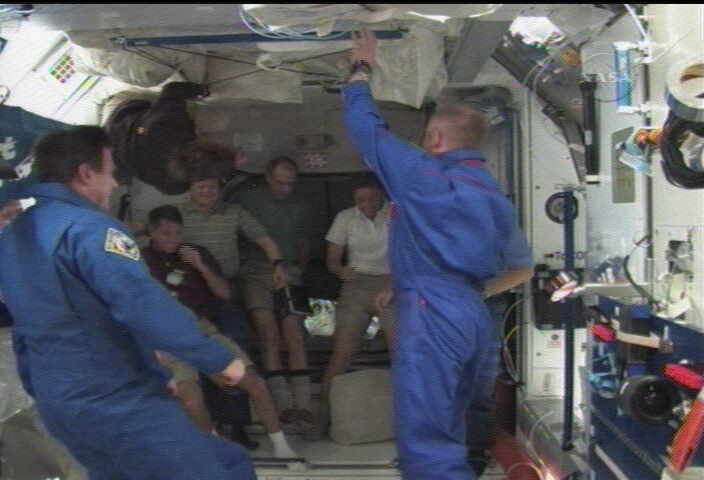 Shuttle Endeavour docks with ISS – greet each other. 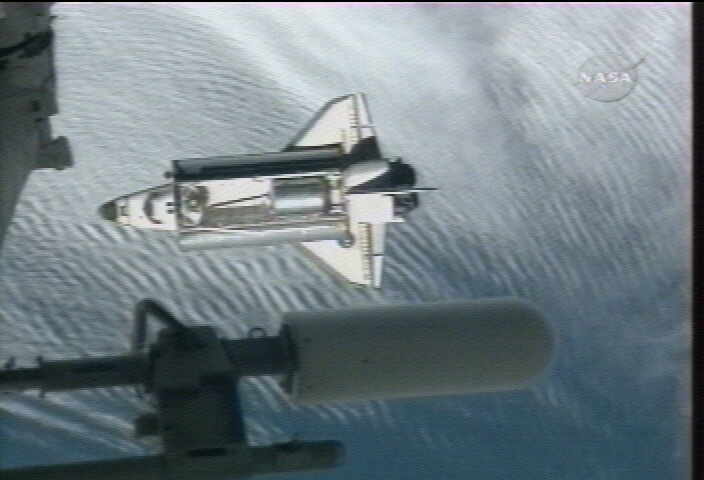 The space Shuttle endeavour, (after its launch on 14th november 2008 ) docked with the International Space Station, on sunday 16th november, 2008. 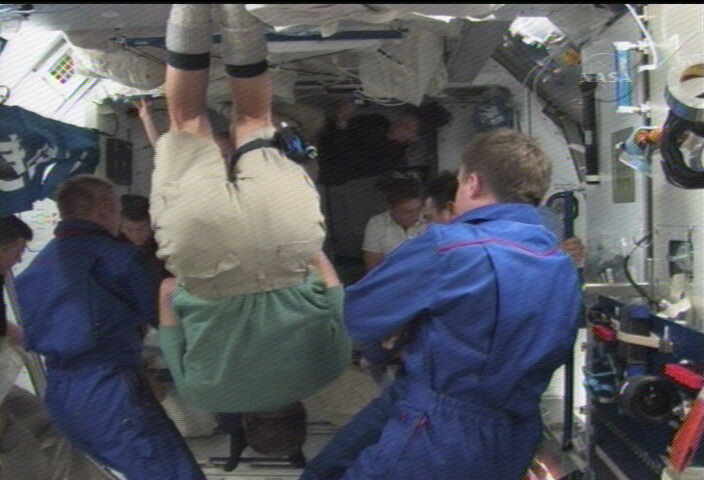 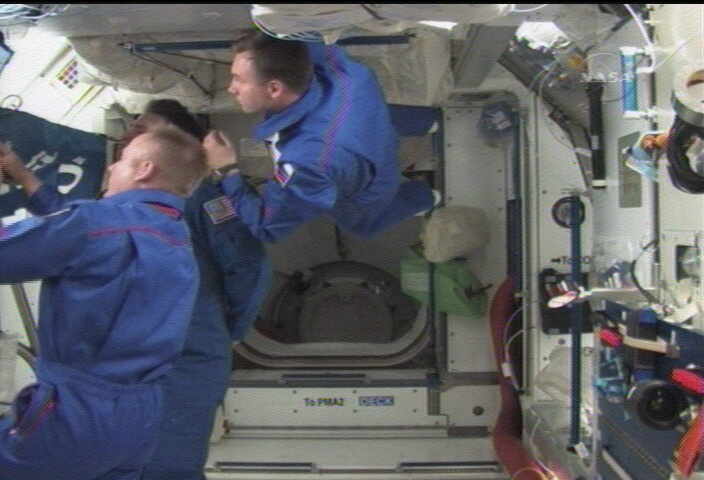 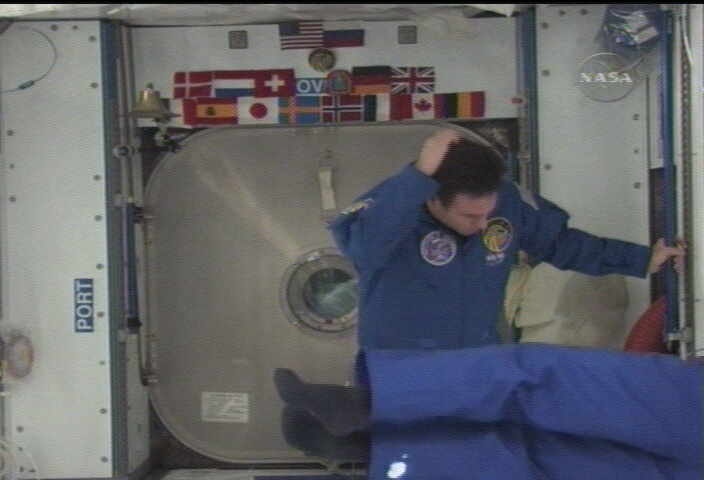 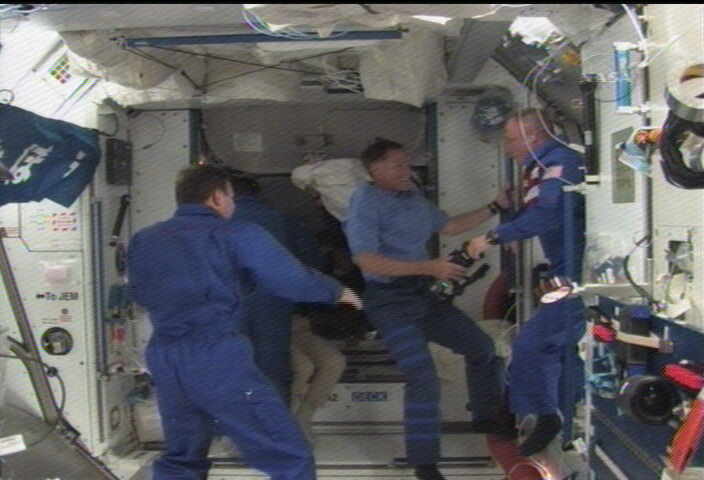 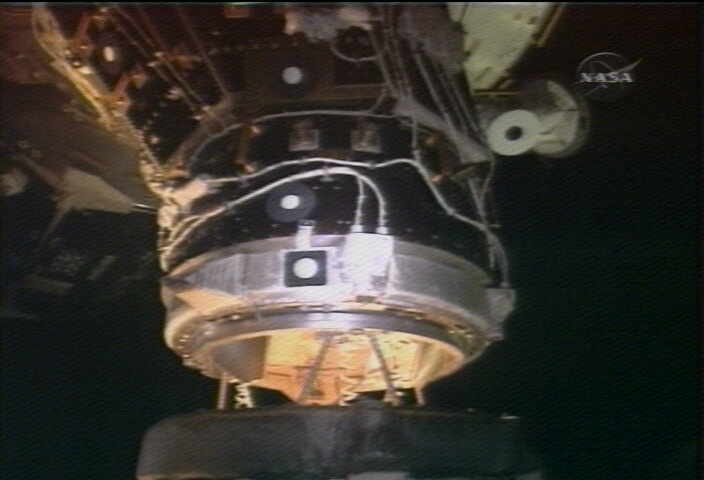 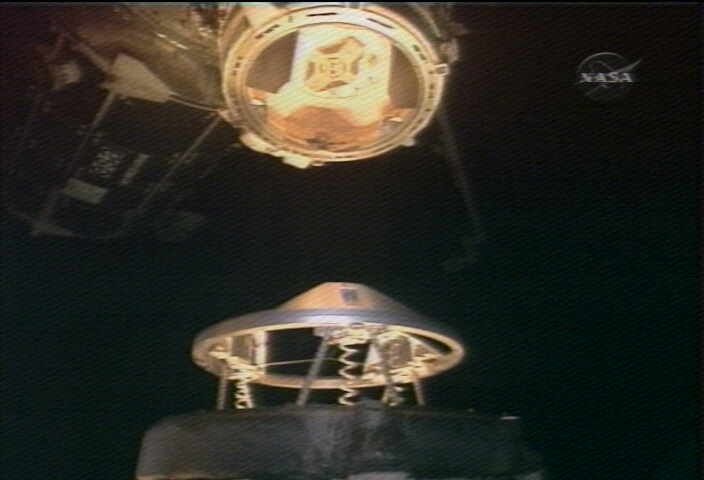 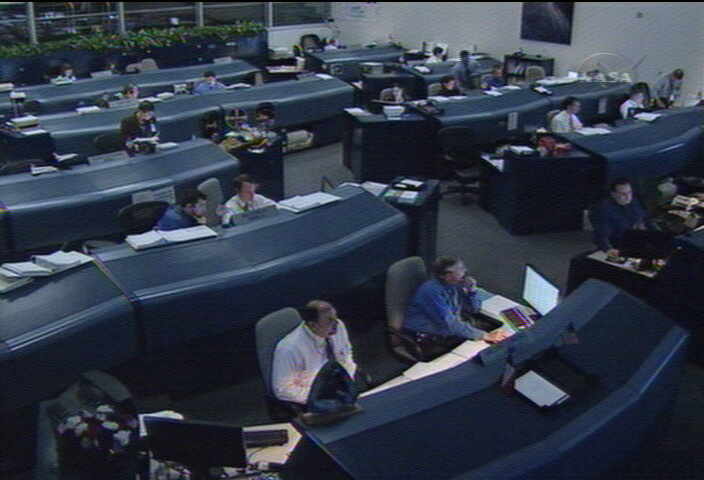 Below are some freeze frame images, from the live NASA TV link online (see here ). 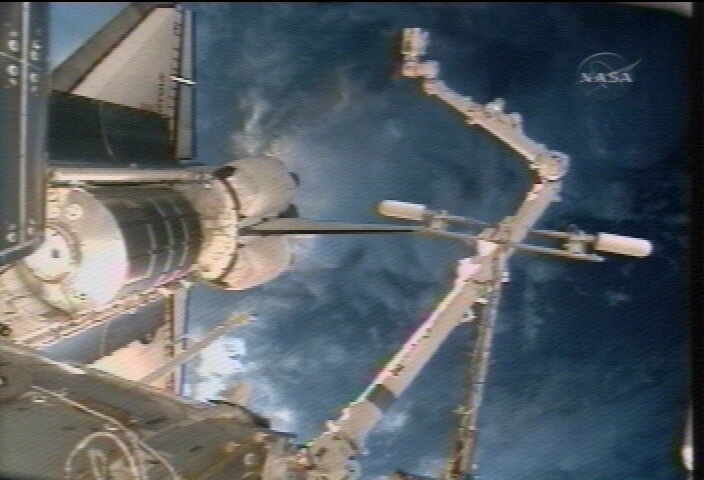 Above:(3 images) Doing checks, so that both endeavour and ISS can greet each other (this is the view from the ISS side). 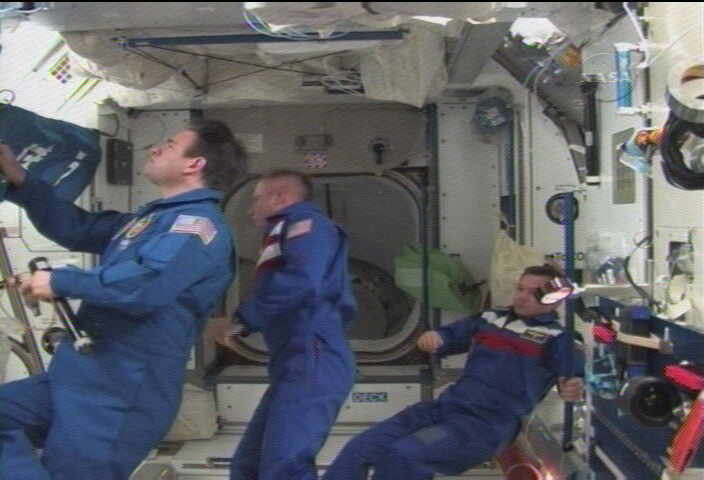 Above; 3 images; 6.16pm Central Time (16th november) both ISS and Endeavour greet each other.